Trine Opsahl’s latest release is Add Colours To My Sunset Sky. 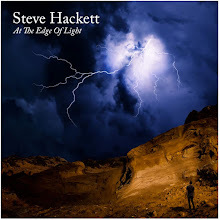 The 13 tracks on this CD encompass some of the most beautiful harp playing you will ever hear. She is an expert at playing the Celtic Harp. The album is primarily instrumental. I think of two people when it comes to harp music, Harpo Marx and Andreas Vollenweider. I know you may find it funny that I mention the famous comedian Marx Brother but if you ever saw him play the harp you would understand. His face got real serious and he was excellent. Andreas of course broke new ground many years ago for the instrument. I believe it is time to add another name to list. Thinking about the gates of heaven and angels naturally come to mind when you hear harp music or picture someone playing. I say that at the risk of being cliché. One thing for certain, music that is so delicate and gorgeous will you bring closer to the heavens above. Perhaps you will be able to totally relax or even meditate with the help of this music. It certainly engages your spirit and makes your physical existence seem nonessential. The soul cages we live in can be set free with a little help from our friends like Trine. Foe people that are cerebral, there is release available as well. Another addition to this album is an instrument that may remind you of the Indian Tamboura called the monochord. 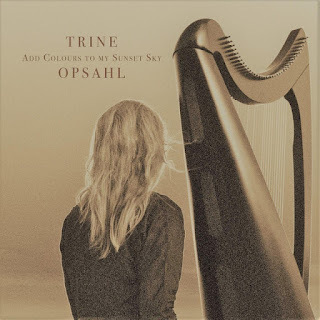 I was actually reminded of the sitar myself and along with Trine’s haunting vocals, the combination proved to be striking. The use of the two different instruments projects different sides of the artist. When she plays the harp, it is inviting and peaceful but then there are other shades of light and emotion that come through when she sings and plays the monochord. The visions that came to my mind were Vikings traveling the seas or dying in battle with the promise of honor in Valhalla. I know that may sound a bit dramatic for a new age recording, however those are the images that came to me, for anyone else I am sure it would be entirely different.